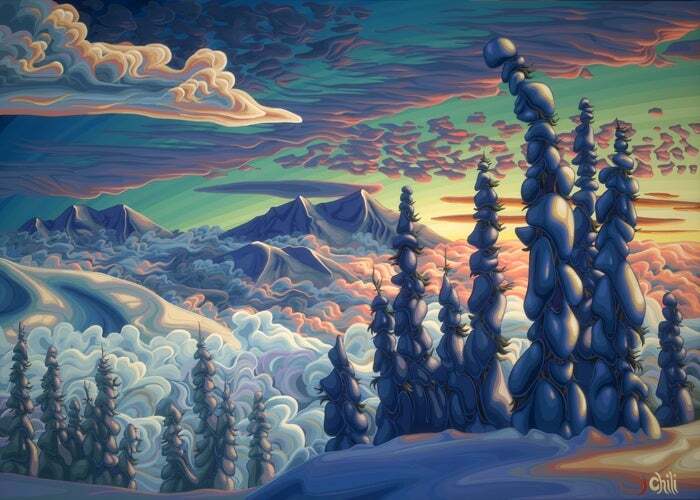 The late (and great) Chili Thom's artwork is synonymous with Sea to Sky landscapes. His use of colors and lines is distinct, his snow-laden trees are iconic and many walls in Whistler are adorned with his creations. His artwork can be purchased here. 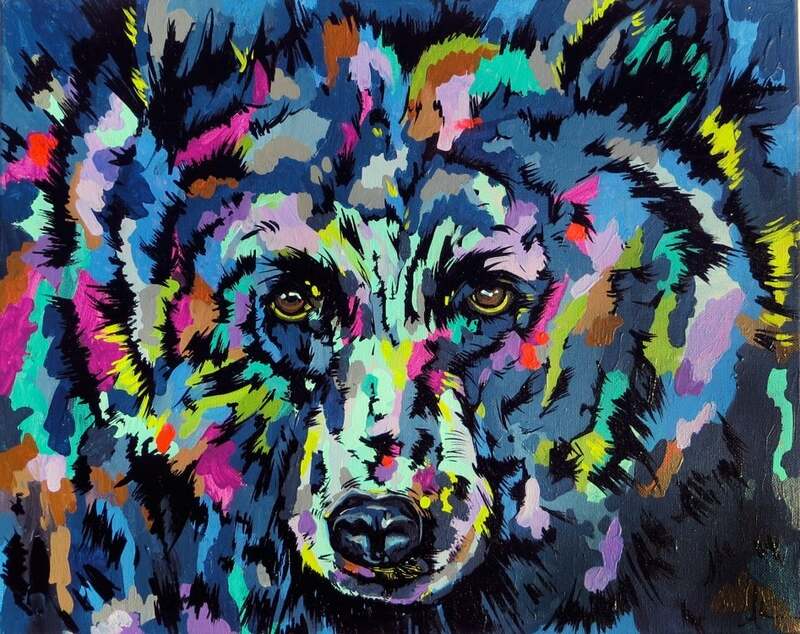 Andrea is a contemporary artist and art instructor based in Whistler, B.C. Her work is characterized by bold colors, messy loose brush strokes and darkly playful imagery. Her work examines the relationship and connection between all things including humans, animals, memory, language, belief systems, the environment and the impact these have on one another. She experiments with different types of materials and often incorporates found objects into her works. Her website can be found here.